In December 2014, Civic Exchange published a report on biodiversity strategy and action plan. To download the report, click on the link above. 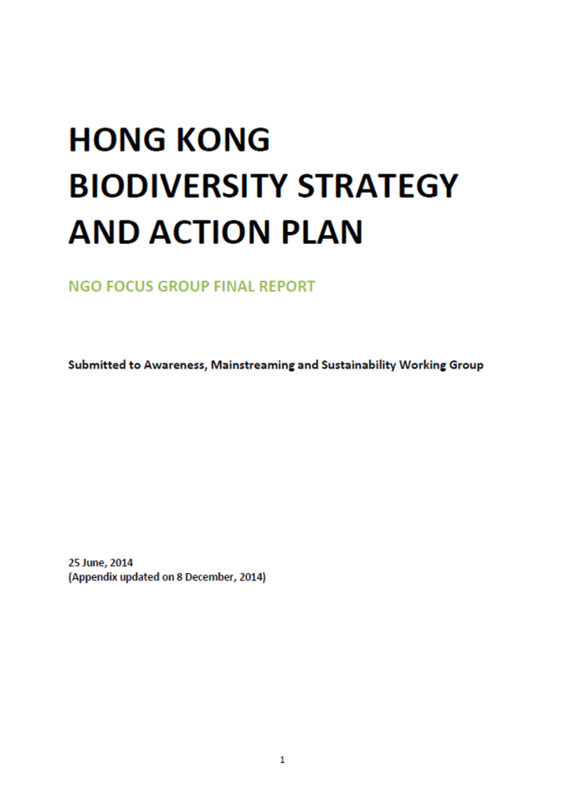 When the HKSAR Government committed to taking a participatory process in developing Hong Kong’s first Biodiversity Strategy and Action Plan (BSAP) , a significant number of environmental NGO representatives were invited to join the Steering Committee and the three Working Groups charged with formulating the plan.In recognising the importance of involving NGOs, the Awareness, Mainstreaming and Sustainability Working Group established an NGO Focus Group to examine the contribution that NGOs can make in establishing and delivering the goals and targets of the BSAP. To this end, the focus group has also considered how the Government can support the NGO sector in general to increase their capacity, effectiveness and synchronise their efforts to raise public awareness and mainstream the BSAP across all segments of the population. This report summarises the views and ideas expressed by the various environmental NGOs and invited guests during a series of meetings between May 2013 to April 2014 and outlines the aims of the NGO focus group and a consultative approach was taken to elicit ideas and concerns of the NGO community. It also identifies eight gaps that currently make it difficult for NGOs to achieve a more effective delivery of awareness building programmes and events, and points to a number of strategies and actions that would help address these issues.